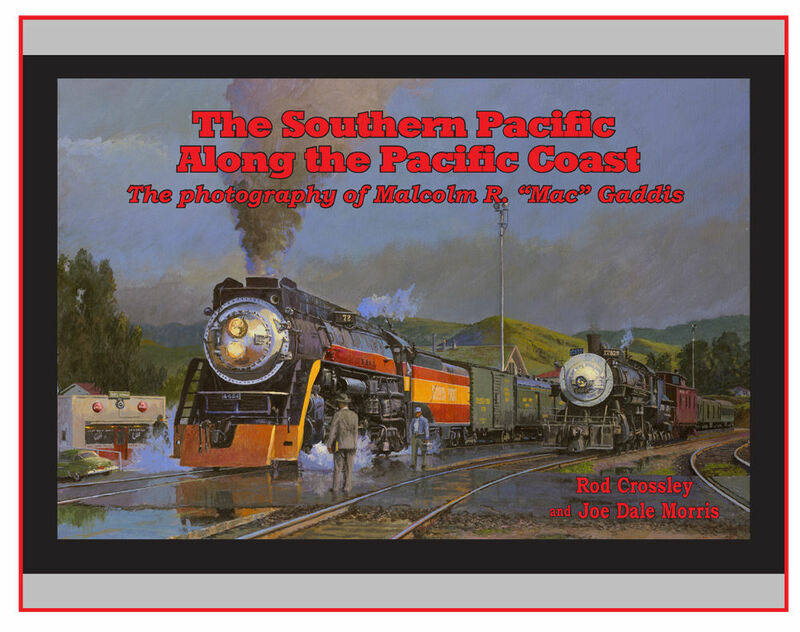 Southern Pacific Along the Pacific Coast - The Southern Pacific Along the Pacific Coast is a vivid and personal pictorial of the fascinating parade of trains across the West's first great main line railroad. It's a visual history of the transition history of the Espee when steam locomotives were working side by side with the new diesel electric locomotives. While working for the SP, Mac Gaddis began taking photographs of the locomotives and trains around California. Later when assigned to San Luis Obispo he photographed all aspects of the railroad at that station. In 300 never before published photographs, Mac Gaddis give you a rare glimpse of railroading in the Golden State from the mighty Southern Pacific to the Pacific Electric, the Santa Fe and the Union Pacific. Containing over 300 black and white photographs in a landscape format. Hard cover.